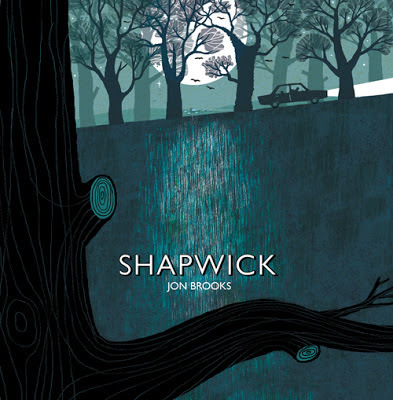 Clay Pipe Music: Jon Brook's "Shapwick" Due 25th February. 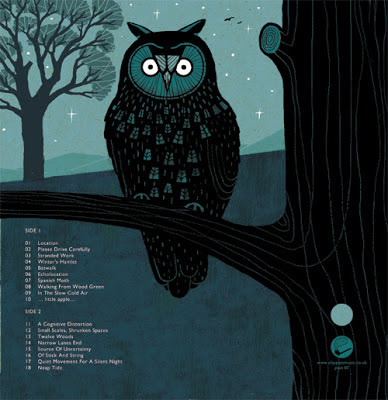 Jon Brook's "Shapwick" Due 25th February. I'm very happy to announce that Jon Brook's 'Shapwick' on 12" vinyl will be available from the 25th February 2013. Previously released as a CD in a limited edition of 110 hand printed copies it sold out within a couple of hours, and Clay Pipe were inundated with requests for the album to be made available on vinyl. The vinyl release features new artwork by Frances Castle on beautiful reverse mat board, and is limited to 500 hand numbered copies, each with a download code. It's funny how serendipity can shape the creative process. The most unlikely situations can provide a framework. Shapwick is just such a case in point. I had been stuck in a five hour long traffic jam on a motorway in the autumn of 2011. At the end of the ordeal, we left the motorway and noticed the traffic was backing up onto local roads near Glastonbury; streams of cars, full of hot-headed motorists crawling along congested highways, the roads groaning under a volume for which they were not designed. I searched the map for alternative routes. We had several hours of further driving ahead of us and it was already dark. One such route was through an area close to Shapwick, a small rural village. As we joined the approach to the village, we headed through several miles of unlit roads, with nothing but gnarled trees and woodland either side, the car headlights suggesting the twists and turns ahead. I felt a certain energy around the place. The images created by the trees in the dark conjured inspiration and it struck me that an album could be based on an imaginary impression of this area. I had already recorded some pieces that were in search of a home and the idea formed within seconds. The music I had been writing was recorded directly to a four-track cassette recorder. There were some piano recordings that I had made at my uncle and aunt's house in Devon (where I had stayed prior to the traffic jam), along with other acoustic and electronic pieces. With the Shapwick framework in mind, I recorded much more material. Using everything from a song harp in a garden, to a modular analogue synthesizer, I set about creating textures that would place my own notion of Shapwick on some kind of map; to create a geographic narrative. I carried forward the notion of recording on four-track cassette - a very immediate recording medium, where there is little chance to manipulate the sound after the fact. This way of working shaped the project further and the medium suggested textures by itself - I had been using very old second-hand cassette stock that had been recorded on by others; subsequently, fragments of recordings already on the tapes showed up at various points and took on their own new lives in the tapestry. The reality of Shapwick is probably quite different to the impression in my own mind, but nonetheless I think it's interesting to form an impression based on how a place could be, just by passing through it in the dark... and building from there.